The National Army Museum will be re-opening on 30th March and will incorporate new features including a brand new learning centre. 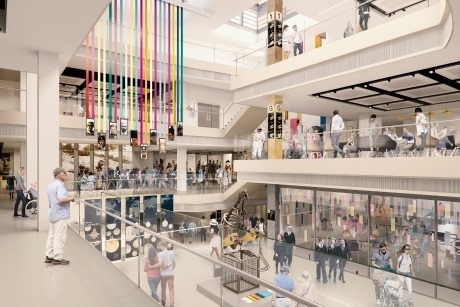 The re-developed museum will have two dedicated learning rooms within the Foyle Centre. As of September, when the educational offers launch, students will be able to get access to a range of facilitated sessions based on History, Science and Citizenship. These sessions will get pupils involved in hands-on activities, and real and replica objects and archives. They will be suitable for Primary and Secondary groups. Titles of sessions have not yet been confirmed but possible topics include Florence Nightingale and Mary Seacole, Remembrance, World War One and Empire. Other themes will include technology and medicine. More details on these learning opportunities will be released in June. The museum will contain five new permanent galleries, laid out over four floors. The Soldier gallery will focus on the individual stories of soldiers and will bring to life displays of personal objects that explore the physical and emotional experiences of the army. Schools can engage in a series of tests to find out if they have what it takes to be a soldier. The Army gallery, meanwhile, will chart the history of the army as an institution and explore its origins, its role in the political development of the country, and its impact on global history. Pupils can also explore the Battle gallery, which focuses on the British experiences of battle from the 1640s to present day. Throughout this period tactics have evolved due to technological developments and visitors will be able to learn about these changes through interactive activities. The fourth new area is the Social gallery, which will feature a large number of artefacts depicting stories that examine the army as a culture as well as a military force. This area will also look at the army’s impact on customs, values and choices. And finally, the Insight gallery will examine the impact the British Army has had around the world. The museum will also look at army fashion, fiction and journalism, as well as the impact on medicine, technology and benevolence. For more information visit www.nam.ac.uk.